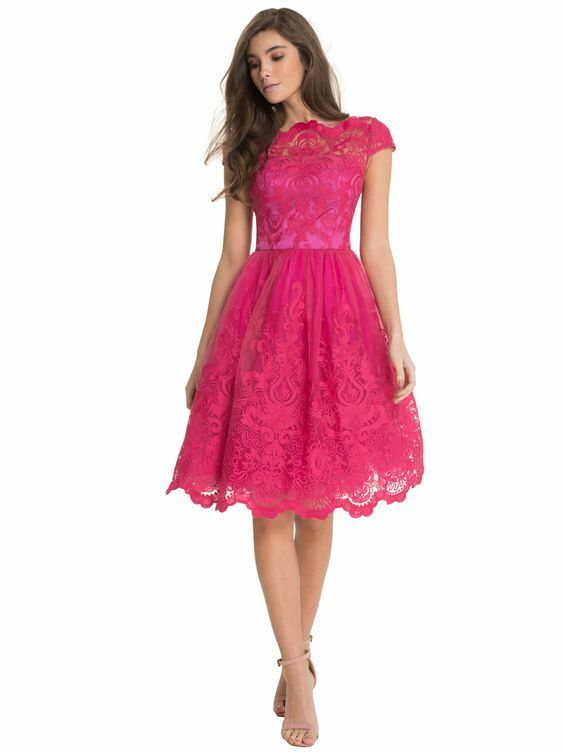 What is the color fuchsia pink and what matching colors you can wear with it? This is a bright floral shade, which immediately attracts attention and look equally good on brunettes and blondes. 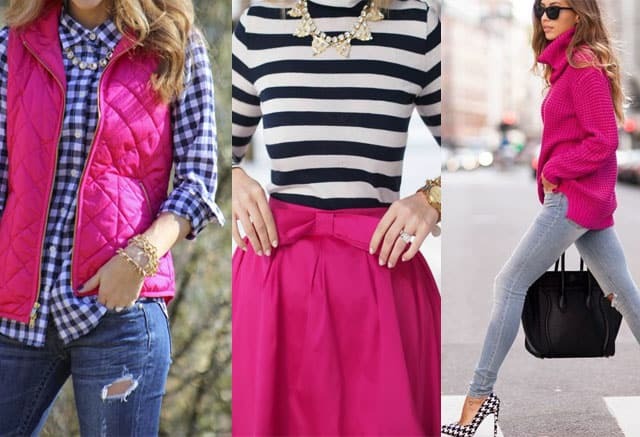 A couple of years ago fuchsia clothes and matches with them were any fashionista’s must-have, but if you think they’re no longer in fashion then you probably haven’t checked out the latest collections yet. And you know what? You’re gonna fall in love with this juicy color the moment you see it and get to know about the colors that go with fuchsia. In order not to look like a peacock hen you’d better avoid pairing fuchsia with other bright colors. Unless it’s royal blue we’re talking about of course. Just keep it simple and you’ll look stunning! It’s hard to say what color goes with fuchsia best, but there’s a fat chance you will screw up the entire look if you go for a classy pink and black combination. A complementary black pencil skirt and a fuchsia shirt is an amazing pick for business meetings while a black dress with fuchsia accessories will make a perfect outfit for a date. 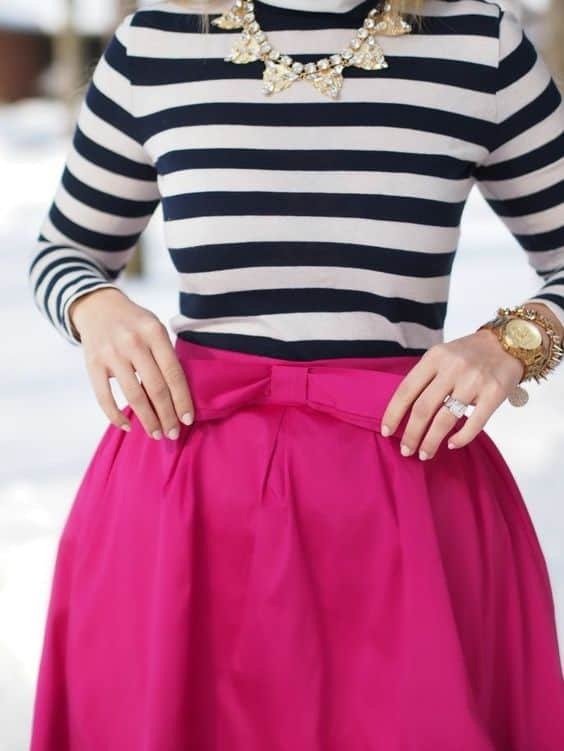 Color combo with hades of pink might be girlish but they can also create a one-of-a-kind romantic look. 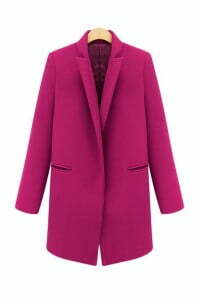 Try wearing a fuchsia coat over a baby pink sweater and we bet this candy look will make a few guys crush on you. 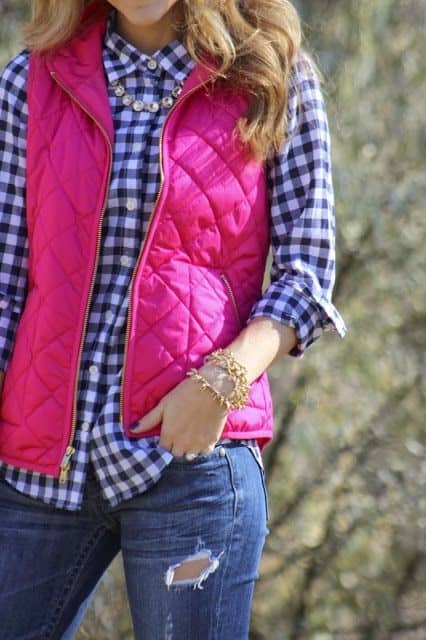 Fuchsia pink vest with plaid shirt and necklace is outfit for the true romantic natures, however, accustomed to the attention of others, attracting them with bright colors.